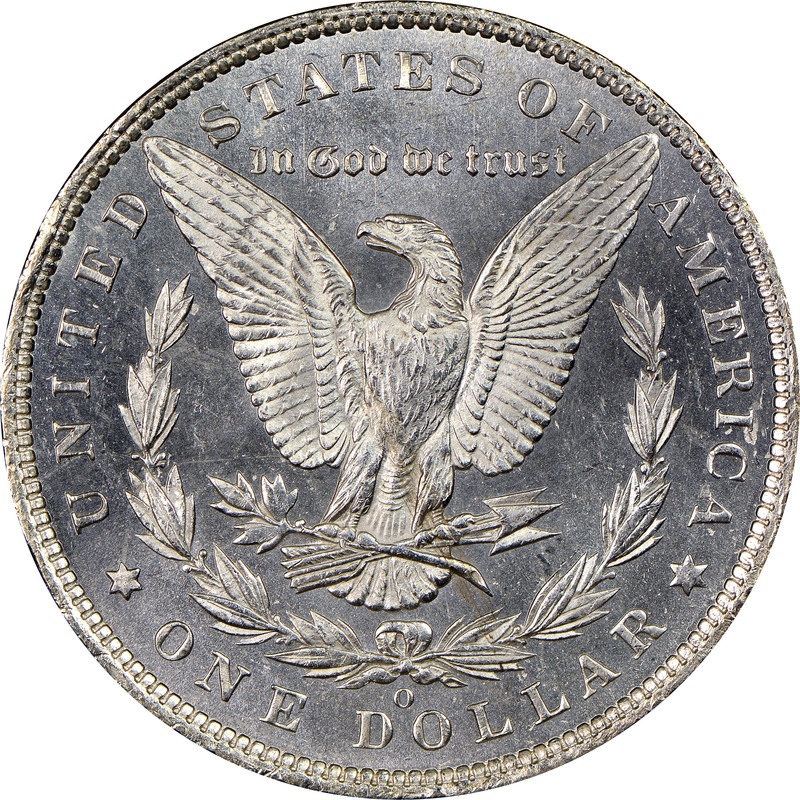 With a mintage totaling over 10 million coins, one would not expect the 1886-O Morgan dollar to be a rarity today. 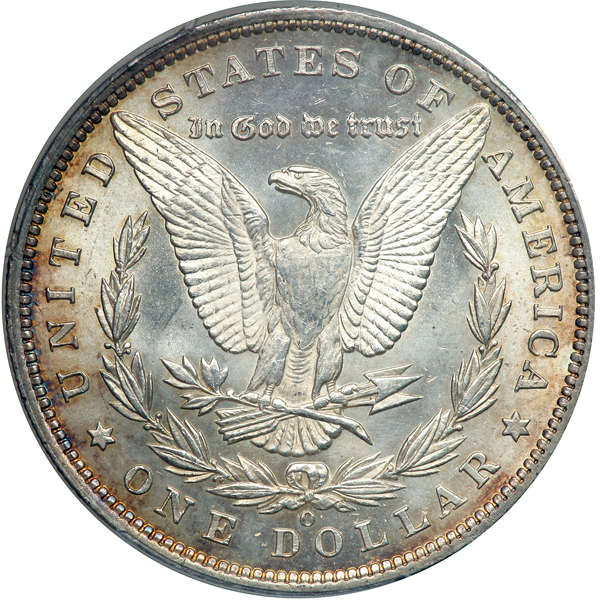 However, it does not appear that many original bags of this date survived the Pittman melting, so the only examples that are available today are those which were released at the time they were struck. 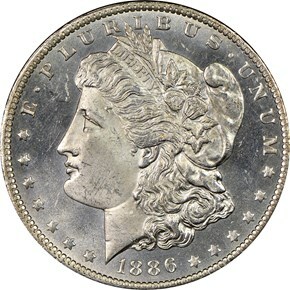 This makes any uncirculated example a rarity. However, this date becomes particularly rare in choice, and NGC has thus far not graded a gem example. 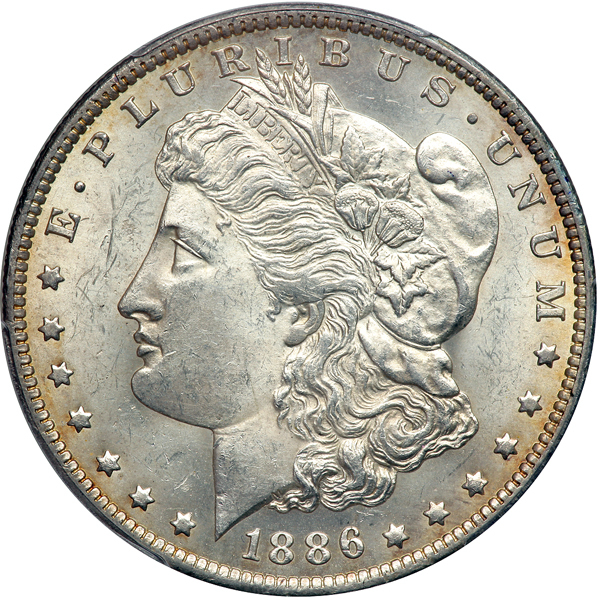 A random selection of NGC coins is shown below.